David Foster is the most original, challenging, contradictory, risk-taking and infuriating Australian novelist of his generation. To date he has published twelve novels, three collections of novellas and short stories, two books of poetry, and a collection of essays, with several produced radio plays. 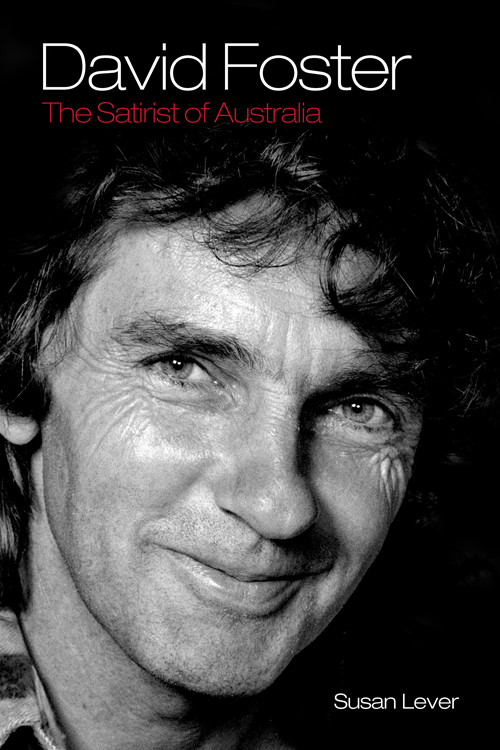 Four of Foster’s novels have won major literary awards in Australia: his first novel, The Pure Land (1974), shared the first Age Book of the Year award (with volume three of Manning Clark’s A History of Australia) in 1975; his second novel, Moonlite (1981), was the National Book Council Book of the Year for 1981; The Glade Within the Grove (1996) won the Miles Franklin award in 1997; and In the New Country (1999) was the inaugural Brisbane Courier-Mail Book of the Year in 1999. Foster’s novels have attracted the admiration of many other writers and critics, including White, Geoffrey Dutton, Randolph Stow and Annie Proulx, and his contribution to Australian writing has been recognized by several Australia Council grants and a prestigious ‘Keating’ Creative Fellowship in 1991. Foster writes in an Australian tradition of idiosyncratic satire and comedy that may be traced through the work of Joseph Furphy, Miles Franklin, Xavier Herbert and David Ireland. His novels are the most wide-ranging and fearless of the Australian novels that have contributed to the late twentieth-century re-examination of Western ideologies and the literary forms in which they are expressed. Despite the originality and importance of this fiction, Foster’s writing is relatively unknown beyond Australia, and in Australia not much beyond a group of loyal readers. He has never acquired the international following of contemporaries such as Peter Carey or David Malouf, or the Australian readerships of Helen Garner or Elizabeth Jolley. While a degree of critical neglect may account for part of this situation, there are other clear reasons for Foster’s lack of fame. Firstly, he is a satirist; his writing sets itself deliberately against the favourite beliefs of the educated readers who are most likely to read it. His work is opinionated, misanthropic, obsessive and sometimes tedious. Secondly, he is a committed modernist, pursuing linguistic experiment and convinced that writing remains, at least partly, an improvisatory performance. Thirdly, his writing mixes genres, modes and language registers; his work combines low humour and high cultural seriousness. Foster is a novelist of ideas rather than character; readers cannot slip into sympathetic identification with his characters because they exist to express ideas rather than individual psychologies. One could go on to list Foster’s toughness of mind and his spiritual obsessions, as if they were negatives, but the qualities that make Foster difficult are, of course, also those that make his books rewarding to read. In this first critical study of David Foster’s works, Susan Lever steers us into penetrating the mysteries of Foster’s fiction, and provides guidance to readers willing to approach them. The book examines the contradictory nature of his commitments and interests as expressed mainly in his novels. Each of his works of fiction and poetry in the order of publication (except for The Adventures of Christian Rosy Cross and The Pale Blue Crochet Coathanger Cover which are discussed with similar novels) are discussed. The development of Foster’s philosophical ideas and technique as a novelist over the 35 years of his writing life to date is followed. The book also examines Foster’s letters to Geoffrey Dutton early in his career; his interviews and essays provide some of the background to these novels. The book also furnishes a sense of the Australian context for his work. A brief biography of Foster’s early life and a discussion of his approach to satire is also included. David Foster is an important book for all Literature and Australasian Collections.